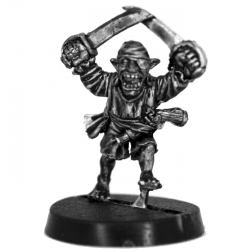 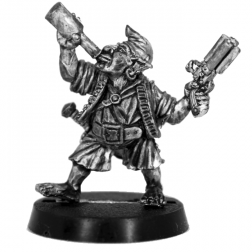 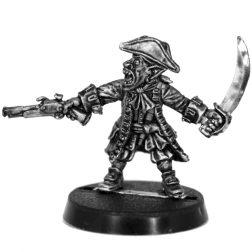 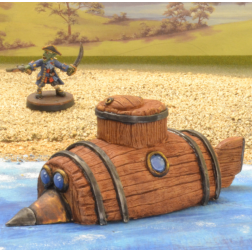 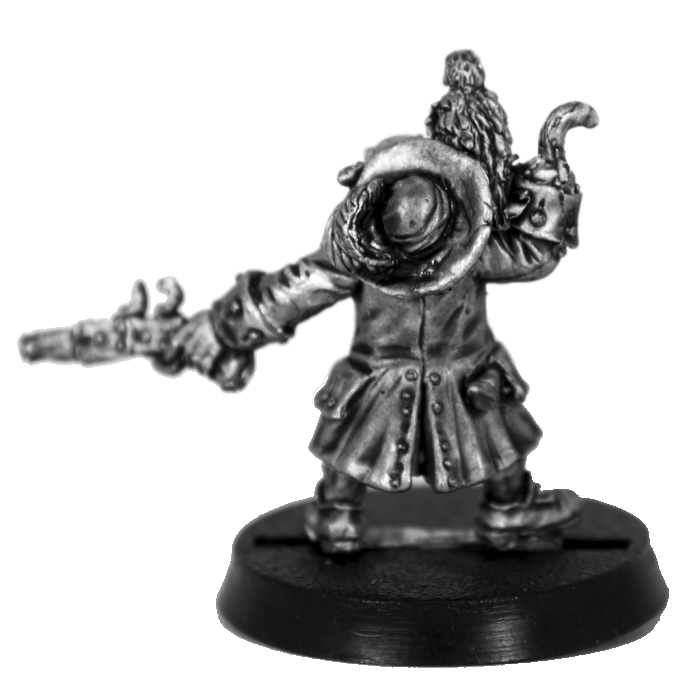 28mm miniature of a Pirate Gobelin. 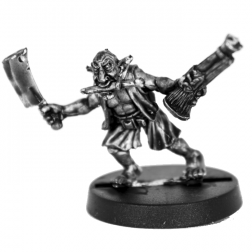 Baguzk Boneslay, famous pirate goblin lieutnant. 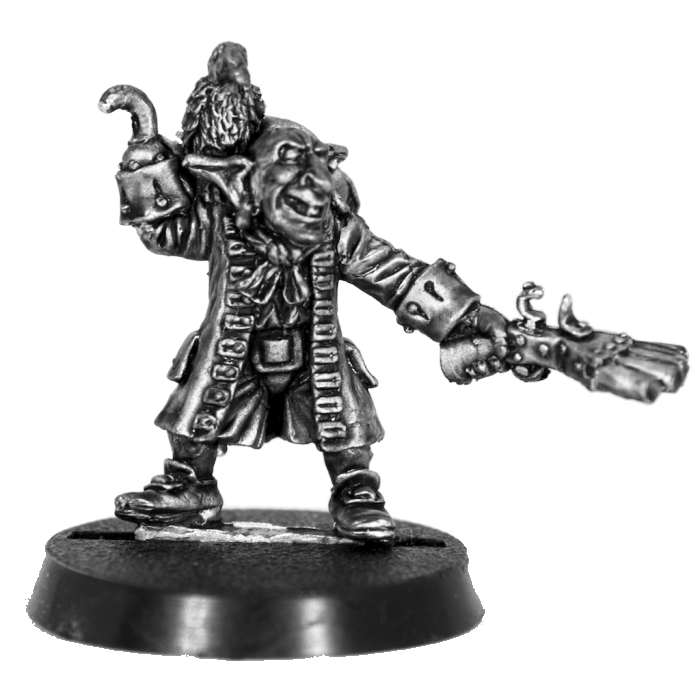 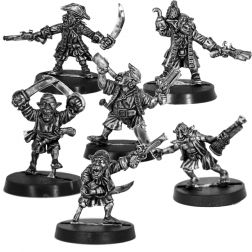 Miniature in 28mm scale in metal (contains lead) figuring a Pirate Goblin. 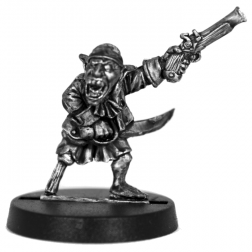 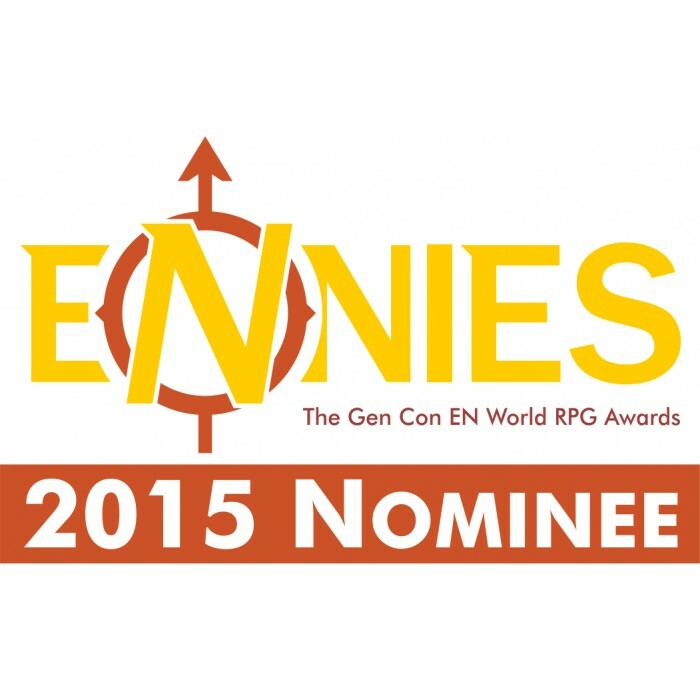 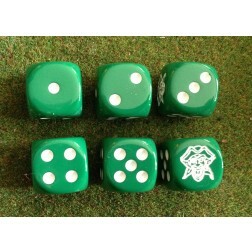 Original by Kev "GoblinMeister" Adams.